Managers and staff at Shell in Lowestoft are meeting on Thursday to discuss the announcement that the Suffolk offices are to close. The oil firm said on Wednesday it was cutting 200 jobs in Suffolk and up to 100 other posts elsewhere in the UK. Staff were told that the creation of a new regional centre in Europe would mean substantial job losses and the closure of its Lowestoft operation. The company said a final decision about the total number of losses would be made later this year. 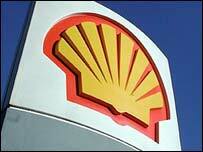 Shell, which has been in Lowestoft for 37 years, is one of the town's largest employers. It provides the management and administrative support for Shell's gas production and exploration in the North Sea. Bob Blizzard, Labour MP for Waveney, raised concerns about the redundancies at Prime Minister's Questions on Wednesday. He said the closure was a devastating blow for the town. "It will punch a gaping hole in a town that is not unused to economic misfortune," he said. "There are many good, hardworking people, (in Lowestoft), which because of its peripheral location, finds it so hard to attract new businesses when we lose those industries we've had for so long." Prime Minister Tony Blair said that Jobcentre Plus would provide support for workers who lose their jobs. Shell employs both onshore and offshore workers in the Lowestoft area. The company will continue to run 27 platforms off the East Anglian coast, employing 300 people, and still use the gas terminal up the coast at Bacton in Norfolk. The company, along with Esso, received government approval this February to explore a new gas field off the East Anglia coast, which led to speculation that the project would bring new job opportunities.